The Ambulance Service in McCone County was incorporated in 1967 as the McCone Ambulance Association. A name change was completed in 1995 so the entire service area was encompassed, not just McCone County. The Redwater Valley Ambulance Service serves all McCone County, northern Prairie County, part of Garfield County (in the Fort Peck Lake area) and western Dawson County, a service area of roughly 2900 square miles and the Redwater River drainage area. Ambulances respond to an average of 100 calls per year. Throughout its 43 year history, the Redwater Valley Ambulance Service (RVAS) has been operated, for the good of the community, by volunteers. Currently the volunteers are Emergency Medical Technicians (EMTs) and operate a Basic Life Support Service, which is licensed by the State of Montana, based in the county seat of Circle. 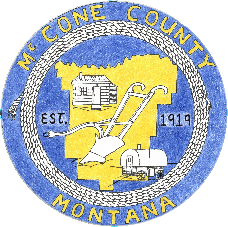 There are Quick Responders stationed throughout the southern half of McCone County, who are prepared to respond at a moments notice. The two Ambulances and most of the volunteers are based in Circle and provide quality care 24/7 - 365 days of the year. A total of 16 EMT volunteers staff RVAS. RVAS is dispatched by the McCone County Dispatch Office and responds to all emergencies requiring an ambulance. It also provides medical assistance to the Circle & McCone County Volunteer Fire Departments and serves the McCone County Health Center. RVAS will also provide mutual aide to neighboring counties, if needed. The EMT volunteers are very community minded and try to keep the Ambulance Service in the forefront of the community. RVAS is always, "Just heart beats away!" Redwater Valley Ambulance Service, Inc.